Lady V London was born by husband and wife team, Sergio and Victoria, from a vision to create fantastic classic dress designs at affordable prices. 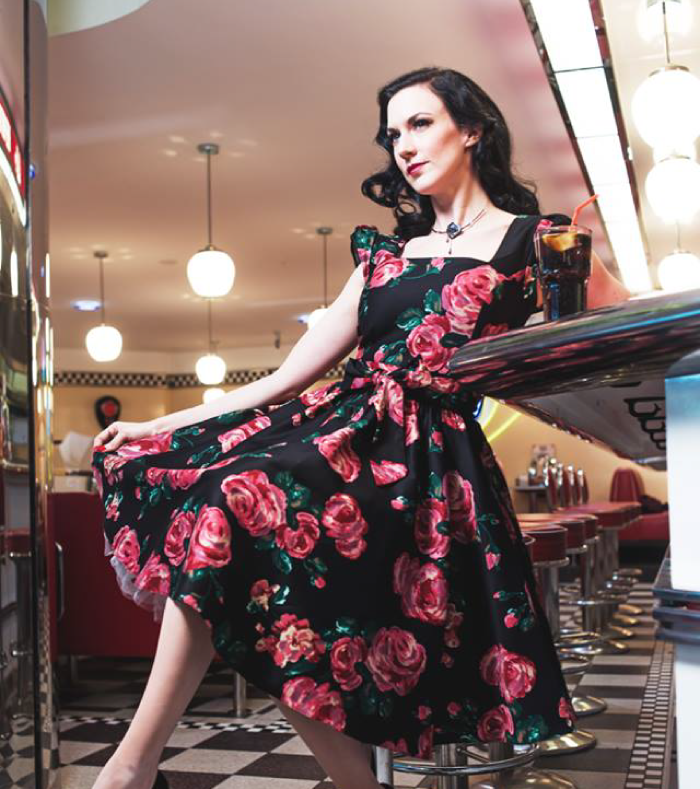 We believe in providing customers with stunning dresses in vintage designs – with original and highly desirable prints, and above all, fantastic quality. Lady V London aims to make your customer experience enjoyable from start to finish, and will always give you something extra providing you with a timeless dress that will be used time and time again, and provide you with many happy memories. All dresses are designed in house at Lady V London. Until June 2013, all dresses had been made within the EU. We have never made our dresses outside of the EU and do not approve of making garments in China. We have travelled to China and believe the quality is not good enough for Lady Vintage. Not to mention the language barrier, work standards, poor packaging, slow delivery and their ethical treatment of workers. We have seen first-hand child workers in China, and never wish to support this kind of labour. 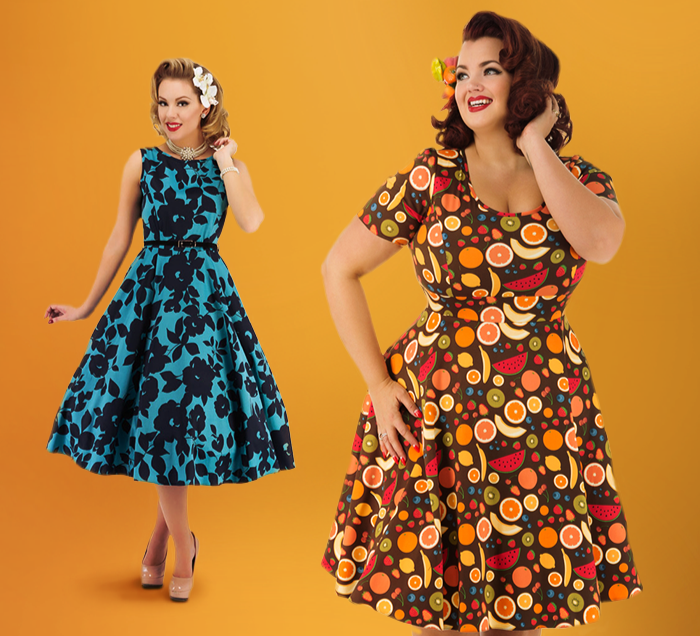 We are now able to liaise directly with the workers, and oversee quality control ourselves – which means that Lady Vintage Dresses are higher quality than ever! Our turnaround time for dresses will also be cut dramatically, meaning we are able to introduce new dresses, and restock popular dresses even quicker! We believe that we are pioneers in this field, by being able to make our garments in London and maintain our affordable prices. 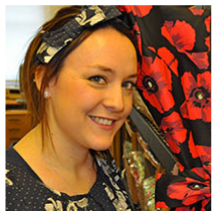 With your support we can keep Lady Vintage in London and help boost London’s clothing manufacturing industry. work for many people in our country and support the British economy, especially in these difficult times. The London clothing trade has been a part of Sergio’s family for three generations, spanning six decades. Sergio’s grandmother, Christalla, travelled all the way from Cyprus to London in 1953, at the age of just 21 on the promise from a friend (who she conversed with only by letter) that she would be able to get a job in a factory in Warren Street, making garments for Marks & Spencer. Having never left Cyprus, or ever having gone on a overseas in any way, Christalla spent 10 days on a ship (on her own) on the way to her new life. Using only the skills she had been taught by her mother, Christalla spent fifteen happy years working in the London factory, and still owns her ‘Singer’ sewing machine. Sergio’s other grandmother also travelled over from Cyprus and worked in the ‘rag’ trade her whole life in London, working in some of London’s oldest clothing factories. She set up her own mini brick built factory at the bottom of her garden, where she made clothes for some of the high street’s best known names that are still in business today! Sergio’s father worked for over 25 years as a freelance pattern cutter, and also owned a factory in the heart of East London himself. Sergio’s uncle is still a pattern cutter today for one of the biggest labels in the UK. In the mid-90s nearly all of the factories manufacturing garments in the UK were forced to close due to other countries joining the EU and trade becoming much cheaper abroad. As a result a lot of highly skilled workers lost their jobs. 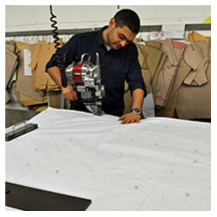 Lady V London is determined to bring the skilled workers back to work in London, and have invested in the future of London garment manufacture. Making Lady Vintage in London culminates three generations’ worth of high quality women’s garment manufacture in London - this has been particularly close to our heart since the very beginning of Lady V London. Lady V London – we wouldn’t be able to do this without the fantastic support of our customers – so thank you. We wouldn’t be who we are today without you!